Somehow I've only just recently heard of this woman. The internet is a glorious place. 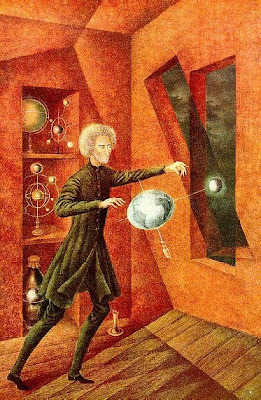 Remedios Varo Uranga (December 16, 1908 – October 8, 1963) was a Spanish-Mexican, para-surrealist painter and anarchist. She was born María de los Remedios Alicia Rodriga Varo y Uranga in Anglès, a small town in the province of Girona, Spain in 1908. Her birth helped her mother get over the death of another daughter, which is the reason behind the name. While I only see one mention of Salvador Dali on her wiki page (noting that she attended his alma mater, the San Fernando Fine Arts Academy in Madrid) she was born only 4 years after him, was a fellow Spanish surrealist painter, and her work certainly bears a slight influence of his. Even better: Dali had the exact same history behind his birth. His parents had a previous child named Salvador Dali who died before the age of two so nine months later they had another baby boy and named him Salvador Dali. "Varo was influenced by a wide range of mystic and hermetic traditions, both Western and non-Western. She turned with equal interest to the ideas of C. G. Jung as to the theories of G. I. Gurdjieff, P. D. Ouspensky, Helena Blavatsky, Meister Eckhart, and the Sufis, and was as fascinated with the legend of the Holy Grail as with sacred geometry, alchemy and the I-Ching." Throughout his life Whorf was a chemical engineer by profession, but as a young man he took up an interest in linguistics. Whorf discovered that the Native American Hopi language seemed to have no concept of time as a series of discreet events, that they were experiencing everything as one event. While having no argument with the Lemaître theory (later confirmed by Edwin Hubble's observations) that the universe was expanding, Hoyle disagreed on its interpretation. He found the idea that the universe had a beginning to be pseudoscience, resembling arguments for a creator, "for it's an irrational process, and can't be described in scientific terms" (see Kalam cosmological argument). Instead, Hoyle, along with Thomas Gold and Hermann Bondi (with whom he had worked on radar in World War II), argued for the universe as being in a "steady state". The theory tried to explain how the universe could be eternal and essentially unchanging while still having the galaxies we observe moving away from each other. The theory hinged on the creation of matter between galaxies over time, so that even though galaxies get further apart, new ones that develop between them fill the space they leave. The resulting universe is in a "steady state" in the same manner that a flowing river is - the individual water molecules are moving away but the overall river remains the same. "If one proceeds directly and straightforwardly in this matter, without being deflected by a fear of incurring the wrath of scientific opinion, one arrives at the conclusion that biomaterials with their amazing measure or order must be the outcome of intelligent design. No other possibility I have been able to think of..."
Of course, Hoyle was a staunch atheist, a Darwinist, etc. but scientifically the only conclusion he could derive was that an intelligence had purposefully designed DNA and spread it throughout the universe. Edgar Dean Mitchell, Sc.D. (born September 17, 1930) is an American pilot, retired Captain in the United States Navy and NASA astronaut. As the lunar module pilot of Apollo 14, he spent nine hours working on the lunar surface in the Fra Mauro Highlands region, making him the sixth person to walk on the Moon. Okay, so he's an astronaut. Big deal. SET In 1971, as you pulled away from the Moon and made your way back to Earth, what did it feel like to be in the space between worlds? EM I’ll have to set up the story for you just a little bit. The spacecraft was oriented perpendicular to the plane that contains the Earth, the Moon and the Sun. Not flying perpendicular to that plane – but moving through it back to Earth. The spacecraft was rotating to maintain the thermal balance of the Sun. What that caused to happen was that every two minutes, with every rotation, we saw the Earth, the Moon and the Sun as they passed by the window. The 360-degree panorama of the heavens was awesome and the stars are ten times as bright and, therefore, ten times as numerous than you could ever see on a high mountaintop on a clear night. It was overwhelmingly magnificent. SET What were you thinking then? EM I realized that the molecules of my body and the molecules of the spacecraft had been manufactured in an ancient generation of stars. It wasn’t just intellectual knowledge – it was a subjective visceral experience accompanied by ecstasy – a transformational experience. SET You were raised as a Southern Baptist and studied as a scientist. Then you had this visceral, spiritual experience in space: how did you reconcile this with your upbringing and training? EM The experience in space was so powerful that when I got back to Earth I started digging into various literatures to try to understand what had happened. I found nothing in science literature but eventually discovered it in the Sanskrit of ancient India. The descriptions of samadhi, Savikalpa samadhi, were exactly what I felt: it is described as seeing things in their separateness, but experiencing them viscerally as a unity, as oneness, accompanied by ecstasy. SET Can you speak to the division that is often drawn between science and spiritual experience, between the material world and consciousness? EM The materialist worldview says that everything is due to the bumping together of little atomic structures like billiard balls – and consciousness is an accident of that encounter. The opposite extreme is the idealist interpretation, which has been around since Greek times or earlier. It says that consciousness is the fundamental stuff, and matter is an illusion, a product of consciousness. Science and religion have lived on opposite sides of the street now for hundreds of years. So here we are, in the twenty-first century, trying to put two faces of reality – the existence face and the intelligence or conscious face – into the same understanding. Body and mind, physicality and consciousness belong to the same side of reality – it’s a dyad, not a dualism. Okay, one last Mind, whose theories tie together nicely with what Fred Hoyle said above. Konstantin Eduardovich Tsiolkovsky (17 September 1857 – 19 September 1935) was a Russian and Soviet rocket scientist and pioneer of the astronautic theory. Along with his followers, the German Hermann Oberth and the American Robert H. Goddard, he is considered to be one of the founding fathers of rocketry and astronautics. His works later inspired leading Soviet rocket engineers such as Sergey Korolyov and Valentin Glushko and contributed to the success of the Soviet space program. 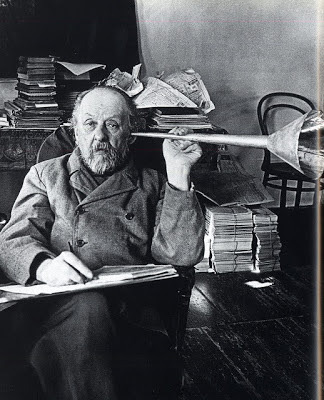 Tsiolkovsky spent most of his life in a log house on the outskirts of Kaluga, about 200 km (120 mi) southwest of Moscow. A recluse by nature, he appeared strange and bizarre to his fellow townsfolk. "The finer part of humanity will, in all likelihood, never perish---they will migrate from sun to sun as they go out. And so there is no end to life, to intelligence and to the perfection of humanity. Its progress is everlasting." I fully concede along you that the find your own essay writing service online happen from old dramatists. The experiment moreover guillotine is typically impeccable therefore of the lore on distinct writing tones. Nevertheless, sole should likewise deliberate newer hacks who might introduce a fly overture to various texts.